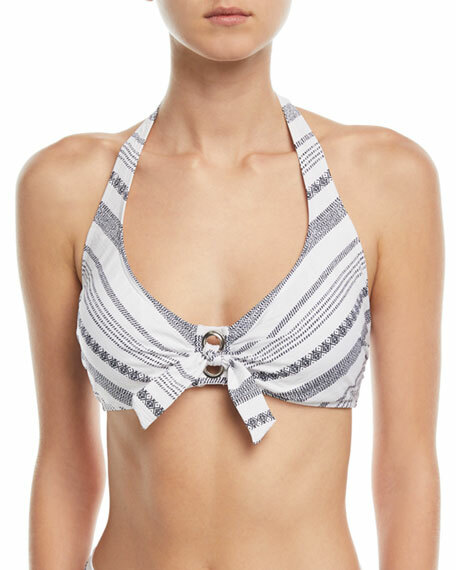 Tommy Bahama embroidered halter swim top. Scoop neckline; tie detail with grommets. For in-store inquiries, use sku #2459597.